Last year welcomed an exciting new destination to the glittering line-up of venues on the Longines Global Champions Tour calendar, with the popular city of Berlin, Germany, added to the star-studded roster. With fans filling the stadium each day, the popular event had a phenomenal atmosphere and is sure to deliver again this year. 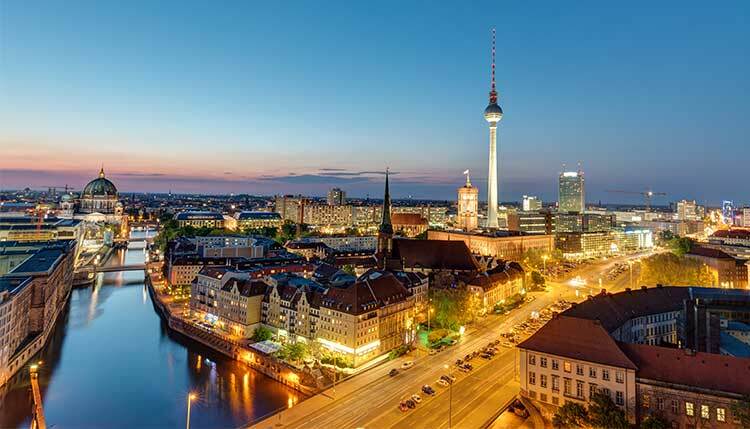 The German capital is also the largest city in the country, steeped in history with famous monuments including the Berlin Wall and the Brandenburg Gate. Berlin’s vibrant cultural scene makes it one of the most visited cities in the world. Hosted at The Sommergarten at the Funkturm in Berlin, which is a centrally located, park-like green area on the grounds of the Messe Berlin, there are approximately 10,000 square meters and the garden was originally created in the heart of the capital as a place of relaxation and peace, providing a unique ambience. Since 1981 the Sommergarten houses a sculpture garden with works by contemporary Berlin artists. It is also the venue for the annual summer concerts, which are presented during the IFA (the world's most important trade fair for consumer electronics and home appliances). In the skyline and as the perfect backdrop to the event will be the Funkturm - one of the most important landmarks in the city of Berlin. This iconic tower was built in 1926, originally put into operation for the 3rd great Deutsche Funk-Ausstellung, and now, with a height of 146.70 meters, visitors can look into the horizon far beyond Berlin's borders from the tower restaurant. With top German riders including Ludger Beerbaum, Christian Ahlmann, Marcus Ehning, Daniel Deusser and Marco Kutscher regulars on the Tour, this second event in Germany will offer fans a up-close opportunity to witness their show jumping heroes in action.